"Derecho viejo" by Osvaldo Pugliese y su Orquesta Típica, 1945. “Derecho viejo” by Osvaldo Pugliese y su Orquesta Típica, 1945. Between 1913 and 1916, Eduardo Arolas’ musical composition and production showed evident improvement due to his musical studies, and the achieved experience of his profession. He consolidated his fame, taking his orchestra to the level of the most prominent ones, leaving the neighborhood cafés, playing on Corrientes Street and at the luxurious places of Palermo neighborhood, in the interior of Argentina, and in Montevideo. 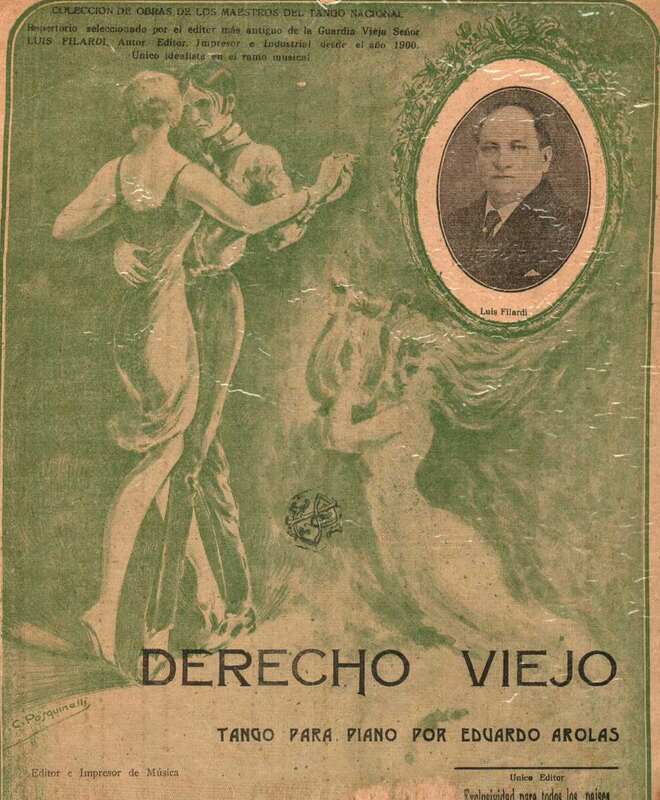 One of the compositions of this period, among many that have today been forgotten are “Derecho viejo”, played here by Osvaldo Pugliese y su Orquesta Típica in 1945. Continue reading.